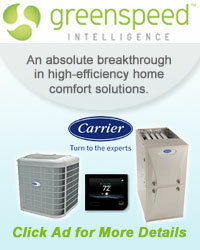 Heating & Cooling with us... it's a Comfort thing! Fire & Ice Heating / Cooling is dedicated to providing the best possible solution for your home or business. You can count on us to provide you with a system and solution that fits your unique needs and since we've installed many systems in this area, we've earned a reputation for doing the job right the first time. YOUR WATER HEATER SHOULD BE SERVICED – Sediment buildup in the tank can reduce your water heater’s energy efficiency and clog water lines. HOSES ON YOUR WASHING MACHINE SHOULD BE CHANGED – Lifespan on stainless steel & rubber hoses is 5 to 7 years. Most insurance companies recommend changing them every 3 to 5 years. HUMIDIFIERS ARE GREAT FOR ALLERGIES – During the winter months moisture from a humidifier can help dry sinus passages & skin. CHANGING YOUR FILTER EVERY MONTH – Extends the life of your unit, keeps energy costs down, helps maintain healthy air quality, helps keep your system clean, and gives you a piece mind knowing you are extending the life of your unit. 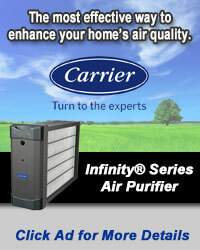 FURNACE TUNE-UP BENEFITS – Your heating system accumulates dust & dirt. 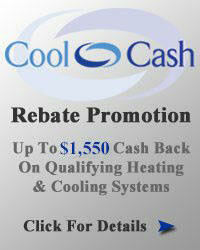 Having your system professionally tuned up will give a better heating performance and lower heating costs. As a Carrier® dealer, with a wide variety of products to choose from, we can keep your family healthy and feeling comfortable all year long. We carry a complete line of indoor comfort equipment with innovations that raise the standards of comfort and reliability, including air conditioners, heat pumps, gas furnaces, programmable thermostats, humidifiers, ductless split systems, geothermal systems, boilers, air cleaners, ultra violet lights, ventilators and zoning products. 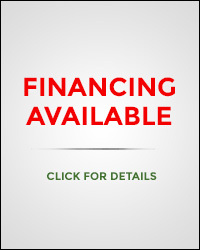 Let the experts at Fire & Ice Heating / Cooling help you customize a solution that's right for you. Gene was very knowledgeable and thorough. He was very friendly and even arrived a little early. I would highly recommend Fire & Ice to anyone. I love Fire & Ice! You guys are very trusting and friendly and always give great advice. Thanks so much!